The Cummins N14 Camshaft meets or exceeds OE specifications; you are guaranteed the quality of the OE at a much lower price. Assembly and manufacture of this Camshaft in an ISO 9001: 2008 certified facility ensures quality and consistency. This is a camshaft without the gear. 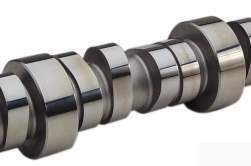 This Cummins N14 Camshaft is made with long lasting strength and performance.